I have studied Russian for years. This is the best source I found. I like this source very much and highly recommend it. 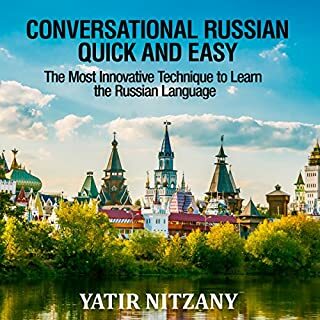 Very effective method of learning Russian and also any other foreign language. Besides Russian i also purchased the Bulgarian and Ukrainian paperbacks from this author in the past. Very happy with all the purchases from Yatir Nitzany. This is also my first audio program. I am new to audible.